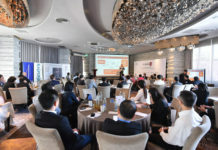 CIOs and tech leaders gathered on the morning of 31st May for a roundtable discussion jointly hosted by NTT Communications (NTT Com) and CIO Academy Asia (CIOAA). The cheese is always moving – are financial institutions playing catch up? Changing customer preferences and the rise of new interactive touchpoints have redefined how customers access financial services. As e-commerce platforms, payments start-ups and micro-loan services enter the fray alongside traditional Financial Institutions (FIs), it just got a whole lot more crowded around the pie. 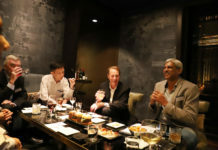 Addressing a breakfast roundtable discussion attended by senior technology leaders representing Singapore’s growing financial sector, is P. Ramakrishna, CEO, CIO Academy Asia. Rama touched on the disruptive forces that FIs are facing today with the ubiquity of digital technologies. For traditional players, the cheese is moving at a growing pace together with the democratization of technology, but he hopes that the roundtable of industry practitioners today can leverage the competitive advantages that FIs in Singapore have built up over the years to drive a stronger innovation agenda. Building a case for change is Kevin O’reilly, Partner, FS Consulting Lead (Asia Pacific), Deloitte. With two decades experience in financial services and having served as Chief Information Officer at Barclays capital, Kevin shares his observations on the mega-shifts shaping the financial services sector today. Among the key mega trends, changing socio-demography exert a heavy influence. With rising income inequality and an ageing population, retail banks and insurance companies have to tailor their services to address contrasting needs between demographic groups. The prevalence of social media and mobile apps have created new expectations for FIs to deliver services at the last click. Even High Net-worth Individuals today are taking a proactive approach to their investment management, pushing private bankers to rethink their roles in managing their client’s investment portfolios. Lastly, a ‘time constrained’ workforce pushes FIs to augment productivity tools into business processes more deeply . South Korea’s second internet-only bank that was recently launched in 2017, Kakao, is a classic example. Formed out of consortium which includes Kakao Corporation, Kookmin Bank, eBay Inc. and China’s Tencent Holdings Ltd, the internet giants have leap-frogged incumbent financial institutions through by cross-selling financing/deposit services to its combined 40M install-base and had processed >440M USD in deposits within 4 days since its launch. “Open Banking” in its merits has delivered on its promises of concrete top-line impact both to banks and insurance companies, despite tightening regulatory environments and heightened public scrutiny on FIs in recent years. Enabling “openness” in traditional FIs take more than best-of-breed technologies – culture transformation within an evolving workplace and a redesign of business processes must be executed equally well. While physical proximity diminishes, workplace automation continues to relieve employees of routine tasks. However, this creates a greater diversity of new job roles designed to take advantage of voluminous data, increasing mobile internet penetration and advancing computational capabilities. Shortening technology cycles are also pushing FIs to rethink their approach to efficiency – instead of setting up cascading processes on best performing assets, FIs have to frequently refresh their core capabilities and maximise utilization of spare capacity. Achieving commercial viability for new innovations is a tremendous challenge, especially within a highly regulated sector such as in financial services. 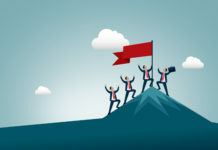 While it is understandable that technology teams tend to err on the side of caution and business teams to focus on monetizing the best performing products, today’s new competitive landscape demand for greater collaboration between IT teams and business decision makers greater innovation risk to be undertaken. FIs today face complex challenges and an even more complex competitive landscape. However, open source communities are a good resource to be leveraged so that the best solutions are crowdsourced and integrated without the need for heavy capex outlays and costly in-house development teams. IT teams need to embrace the ideas that open-source communities can provide, and create responsive channels to take in ideas, distribute incentives and provide feedback for these communities to improve on their solutions as well. Offering financial services at the last click has led many financial institutions to develop an open API architecture, enabling e-commerce platforms to offer financial services such as instalment plans and home mortgages within a seamless customer experience. BBVA Group, Spain’s leading bank with a global presence in over 30 countries, has been in the fore-front in developing Europe’s open-API services ecosystem through non-bank owned channels and has enjoyed new revenue growth outside of its core business. Building on the open API conversation was Angus Torrens, Executive Vice President Business Solutions and Delivery, NTT Communications. A common challenge many FIs encounter in their open-API transformation centres around the interoperability of existing backend systems even before front-end cloud applications could be connected to the core banking systems. This is where NTT Com’s “API Gateway as a Service” provides a one-stop solution for desktop or mobile apps to access monolithic data-centre storage, core banking and cloud services without the need to duplicate API production between the front and back ends. Lastly, Kevin shared his affinity for FIs to go onto the Cloud. 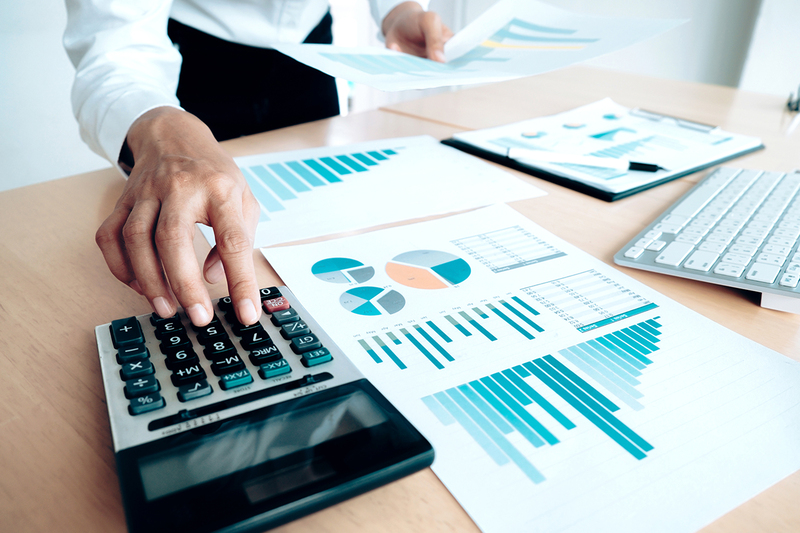 The cost flexibility, on-demand compute and storage scalability and dedicated cybersecurity tools offered by Cloud providers have enabled FIs to develop an efficient, capex-light strategy. ­­­Deloitte projects that FIs will potentially save 40% from provisioning costs and an additional 40% in systems and admin costs as they move to the Cloud. However, as FIs collaborate on the cloud, tech leaders will have to manage growing complexities of the external partnership ecosystem. Operationalising the Digital Strategy – Business Agility a Critical Success Factor! 1.Digital Opportunism: Adoption of business capabilities within each business unit upon garnering a groundswell of support. Though allowing for quick wins at each business unit, this approach limits innovation outside the core business and has a tendency to create a fragmented customer experience. 3.Digital Activism: What BCG defines as the pinnacle of digital transformation, the organisation’s digital agenda is deeply embedded within the business and execution of digital initiatives are almost fully entrusted to each business unit. The role of the digital centre of excellence evolves to establish policies and streamline processes to ensure a cohesive digital strategy across all its business units. Digital Activism requires significant resources in each business unit with a deep understanding of digital capabilities. Angus agreed with Kevin on the potential that open-source communities hold to help develop and improve on solutions around new business challenges. The transformation of multi-factor authentication, from the use of One-time-Password (OTP) or Security Tokens to biometric sensors and facial recognition, is a good case in point for success in crowdsourcing solutions. “All these needs some convincing at the board level” said Executive Director and Head of Ecosystems (Innovation) at yet another established local bank . In soliciting continued support from the board he takes advantage of quick-wins to reinvest the cost savings and surplus revenues that had been realised, in lengthier and more complex innovation projects. Wrapping up his sharing, Angus shares an ongoing proof of concept on the application of NTT Com’s suite of AI initiatives, named “Corevo”, to financial services through autonomic computing capabilities offered as-a-service. Embedded into the middle office, Corevo introduces cutting edge innovations such as AI chatbots, smart noise cancelling microphone and voice and face recognition which then connects front and back office processes and analyses complex unstructured data to realise greater productivity gains. Hugh Mason, CEO of Joyful Frog Digital Innovation (JFDI), demonstrated how Design Thinking frameworks can be applied to guide decision making in technology investments within FIs. Grouping tech innovations into 3 horizons by its distance from the core business, Hugh further built on the model of achieving quick-wins in improving the core business and simultaneously leveraging new technologies to expand the core business and develop new business opportunities. Horizon 1 projects often entail making incremental improvements to existing business processes and performing assets. However, tech leaders much balance these incremental improvements with new business developments through the use of digital capabilities. “It is a balancing act between meeting quarterly targets at the core and investing resources while allowing for failures to develop new opportunities outside of the core. This is commonly known as The Innovator’s Dilemma” said Hugh. “IT teams must achieve 100% success in horizon 1 projects and deliver bottom-line efficiencies that pleases the CFO”. With a quick-win strategy at the core, IT teams could then keep a tab open on riskier technology investments. Hugh’s past experience reveals that innovation projects horizon 2, which typically involves setting up of R&D units, start-up incubators and hosting hackathons, yield an average 50% success rate in developing commercially viable solutions outside of the FI’s core business. At horizon 3, acquisitions or joint-ventures with start-ups has the lengthiest payback period and lowest chance of success, which Hugh estimates, averages at 10%. A large component of design thinking is to ask the right questions and identify relevant needs. A simple guideline, as illustrated by IDEO as “The Innovation Sweet Spot”, ensures that new ideas fulfil the criteria of “desirability”, “feasibility” and “viability”. This process of investigating new market needs in partnership with the business has to occur at regular stages of production and a tight feedback loop between tech teams and the business is paramount to facilitating this process. Relating the recent mobile apps arms race between FIs to deliver a suite of consumer banking services to retail customers, a Group Technology Director of a family owned bank in Singapore expressed his concerns around measuring the “quick win” that was earlier discussed. Citing low average deposit account balances for retail customers, he sought to clarify how FIs saw this as an opportunity to maximise profitability especially for digital-only banks. “Sometimes geographical challenges don’t allow traditional banks to maintain a large network of branches, hence the mobile capabilities are a good way for new markets share to be captured.” said Kevin O’Reilly, who also borrowed an example of a Scandinavian digital-only bank that was able to capture a much larger share of the market thanks to its mobile capabilities. The digital banking approach was also proving to be a sustainable initiative as a proportion of those customers could potentially engage the digital platform for higher value services. On the other hand, Kevin also cautioned for digital-only banks to avoid widening competitive moats based on price, which tend to erode quickly as others jump on the bandwagon, and ultimately hurt profitability before the bank could breakeven! As the discussion drew to a close, the tech leaders found common ground with each other in formulating their strategic approach toward enabling innovation. “Our people are the best resources we could tap on” said Angus, citing his experiences working with other financial services in Asia. An IT Associate Director at a Singapore government linkedin investment holdings, shared that much of their innovation efforts were harvested from innovation fairs where millennials introduced novel solutions around enabling employees at Temasek with productivity tools. The idea that “creating platforms for innovation is key to encouraging regular ideation” was added by an experienced participant in this field, who’s approach focused not just on innovating, but on creating innovators. In summary, the success of financial services globally depends heavily on the Ease of Doing Business, for which a global ranking index has been set-up to rank countries based on the simplicity and clarify of regulatory environments. New Zealand and Singapore had retained its top-ranks as both countries continue to champion open economy policy. “This is crucial in bolstering collaborations and partnerships between banking and non-bank institutions and I hope we continue to do well in this space” concluded Rama, who then brought the session to a close. Rama is the CEO for CIO Academy Asia, building communities and sharing insights with tech and business leaders. 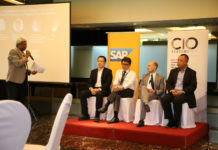 As part of his role at CIO Academy, he has hosted many distinguished C-level leaders from global technology companies.